LILLIE’S BORDELLO, ONE of Dublin’s most iconic nightclubs, is set to close after Christmas. The Porterhouse Group, which runs the nightclub, announced today that the venue will shut its doors for the final time on 19 January. The Grafton Street club became famous for its popularity with both domestic and international celebrities, with Rihanna, Julia Roberts, Mick Jagger, Cillian Murphy and Bono among those to set foot inside over the years. The Porterhouse Group did not reveal what will become of the venue, but said in a statement that ”exciting plans” are afoot for the club, which it expects to announce in the spring. 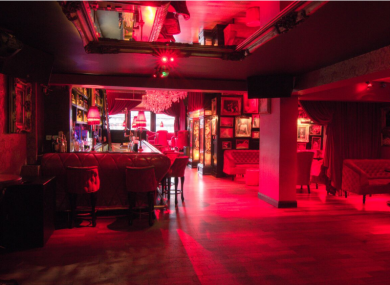 Email “Iconic Dublin nightclub Lillie's Bordello to close in January”. Feedback on “Iconic Dublin nightclub Lillie's Bordello to close in January”.